– Kate Grace speaking after the 2017 Millrose Games women’s Wanamaker Mile about staying tough at the end and outkicking Shannon Rowbury. ALERT: Evacuate Northern California NOW (Feather River) NOW, Oroville Dam about to burst!!! How do you people who are not sick or under house arrest not go outside for a whole day? What you can expect if you're going to run for a bad D3 school. Sammy MF Watson breaks Mary Decker's HS record! LRC 800 Madness At Millrose – Ajee Wilson (And Her Training Partner Charlene Lipsey) Breaks American Record, Sammy Watson Gets Mary Decker’s High School Record Ajee Wilson and her new training partner both had huge PRs to dip under the old American record as Sammy Watson broke the high school record. Updated with video from Wilson and Watson. 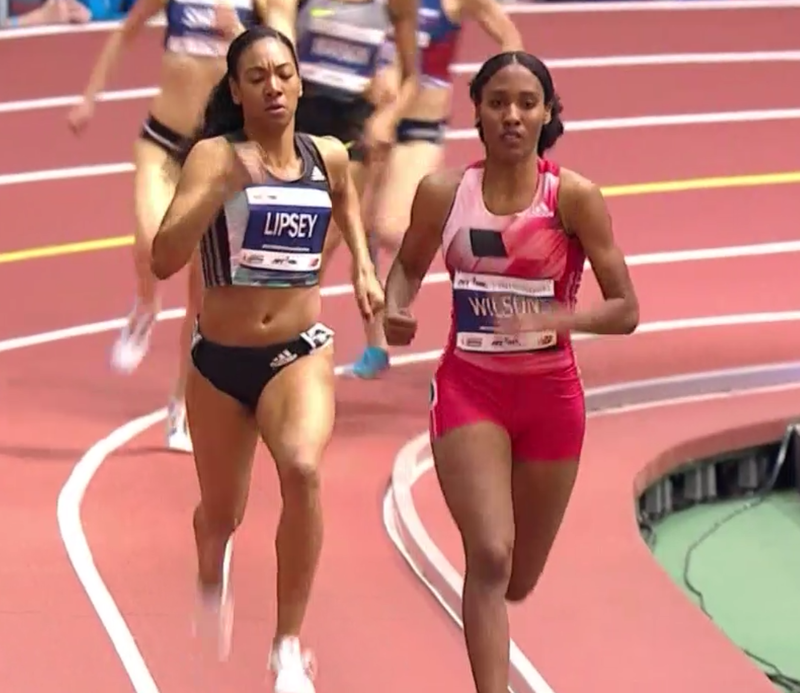 LRC Rest Of Millrose Recap: Jenkins And Hassan Win Wanamakers, True Wins 2 Mile Showdown, Centro Struggles And A High Schooler Is #5 In The World In The Pole Vault Courtney Okolo breaking the American record at 500 doesn’t even get in the headline. Eric Jenkins has the best form. Florence Kiplagat Gets Her Fourth Consecutive Victory At The Barcelona Half Kiplagat won in 68:15 in windy conditions as Sara Hall finished in 4th (71:19). Leonard Langat won the men’s race in 60:52 as former double world marathon champ Abel Kirui was 4th in 61:30. Ethiopian World XC Trials: Underdogs Upset The Favorites At Ethiopian World XC Trials Getaneh Mola won the men’s race as former world 10K champ Ibrahim Jeilan, former world XC champ Imane Merga, and World XC bronze medalist Muktar Edris all finished outside the top 4 to miss auto selection. National 5K champ Dera Dida won ahead of 2012 Olympic 10K bronze medallist Belaynesh Oljira. GB’s Jenny Meadows Angry That She’s Lost A 2010 World Indoor Gold Medal “On A Technicality” Savinova had all her results from summer 2010 onward annulled so she got to keep the world indoor medal by a matter of months. 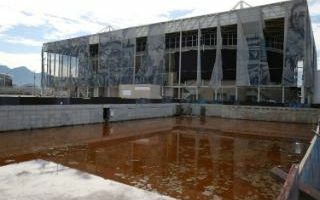 Alan Abrahamson: “Anti-Doping Reality: We All Get What We Pay For” Abrahamson analyzes WADA funding numbers and the big gap between what they need and what they get. Russian Olympic Committee President Alexander Zhukov Admits That “Only A Few” Athletes Have Returned Their Olympic Medals Which Were Stripped For Doping At least 18 Russian medalists were caught in 2008 and 2012 re-tests. Vitaly Mutko Says Number Of Doping Samples From Russian Athletes To Be Doubled In 2017 But how many of them will be legitimate? UKAD Misses Out On Testing Contract For London 2017 World Champs Instead, a German company that offered a much lower price was chosen. Ukraine Athletics Federation Defends Its Anti-Doping Policies After Singled-Out For Concern By The IAAF Ukraine was also one of the few countries that did not vote in support of Seb Coe’s new IAAF reform measures. Usain Bolt All-Stars Sweep Nitro Athletics Series With Another Close Win Over Australia On Final Day Bolt got double wins on the final day in the 150m and 4 x 100. Kenya’s Selah Busienei (4:36) and Australia’s Ryan Gregson (4:06) won the elimination miles while Jenna Prandini took the 60 (7.31) and 16-year-old Aussie Riley Day surprised in the women’s 150m. 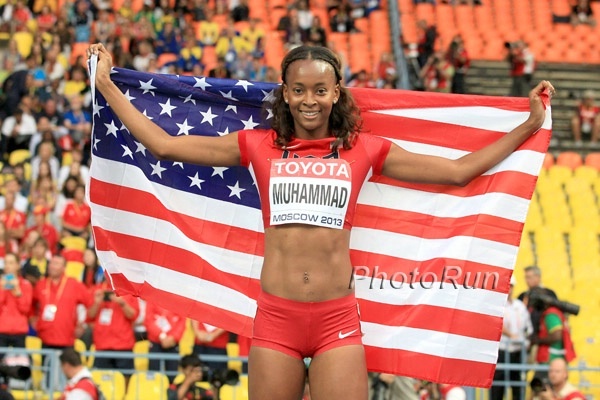 LRC America’s Muslim Olympic Champion Dalilah Muhammad Reacts To Donald Trump’s Executive Order On Immigration – “It’s Just Unfortunate” Find out what America’s first-ever Olympic 400 hurdles champ has to say about Trump’s executive order on immigration. News And Notes From Friday’s Press Conference LRC Centro Isn’t Dodging Anyone, Kate Grace Talks About Her Switch To Nike & More From The 2017 Millrose Games Press Conference We share our news and notes from today’s press conference. Dennis Mitchell Would Be Proud Usain Bolt’s All-Stars Win Nitro Meet #2 In Absurd Fashion All Australia had to do to win was walk the baton around the track in the 4 x 100 but they dropped the stick and got -10 points in a penalty instead of 40 for a win, but the national TV audience was told Australia was the winner. Bolt was taking it seriously and said he’d file a protest if the score wasn’t correct. *IAAF Recap Of Nitro #2 Ryan Gregson won the elimination mile in 4:03. More Mid-Week Action Pascal Martinot-Lagarde Wins 60H In 7.51, Olympic Heptathlon Champion Nafissatou Thiam Excels In Triathlon In France The triathlon is where you do 3 events of the multi. Coming In May Stacked Pole Vault Will Take Place At 2017 Pre Classic With All 3 Olympic Medalists + Shawn Barber Renaud Lavillenie, who set his outdoor PR in Eugene, will be looking for a record 5th straight win in Eugene. LRC What’s It Like To Go To The Super Bowl (And Watch Your Team Storm Back From 25 Down And Win) LRC’s Jonathan Gault went to the Big Game and fortunately for him he didn’t leave early. He tells us what it’s like attending a Super Bowl in person. Good Read: Vivian Cheruiyot Prepares To Move To The Roads And Reflects On The Best And Worst Moments Of Her Track Career Cheruiyot isn’t approaching the marathon as a career afterthought as she talks about winning Olympic marathon gold and breaking the WR. Vivian Cheruiyot Talks About Motherhood, Retirement And Future Plans She wants to have another child after the 2020 Games and retire when she is 40 years old (2023). IAAF Votes Unanimously To Maintain Russian Ban Through The 2017 London World Championships The IAAF task force head Rune Andersen said Russian officials still fail to acknowledge the problem and that the plan is now for Russia to not be reinstated until November 2017. *IAAF Freezes All International Transfer Of Allegiance With Immediate Effect Are the days of Turkey, Qatar and Bahrain dominating “European” championships over? 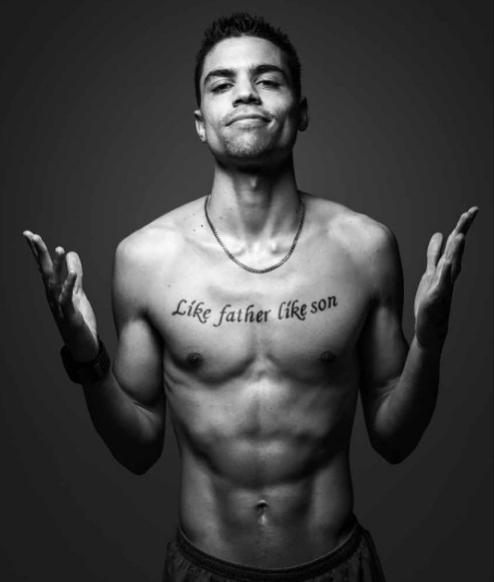 LRC Exclusive LetsRun.com Exclusive: Read Chapter Two of Matt Centrowitz’s New Book “Like Father, Like Son” LetsRun.com doesn’t beat around the bush. Neither does Matt Centrowitz. He’s so confident you’ll like his book, he’s letting you read a whole chapter for free. Purchase the book now and come back at the end of February and participate in the first ever LetsRun.com Virtual Book Club. LRC Legendary Athlete, Father And Coach Matt Centrowitz Just Published An Autobiography – We Suggest You Read It An autobiography by a man who failed every single class in middle school and was in trouble with the law but went on to set an American record in the 5k, make two Olympic teams and raise a son who broke America’s 108-year Olympic drought in the men’s 1,500 has a lot of potential. Add in the fact that he roomed with Bruce Jenner and skipped school to hang out with Steve Prefontaine on the day he died and you’ve got a must read. Purchase Like Father, Like Son: My Story on Running, Coaching and Parenting now and be a part of the 1st-ever LetsRun.com Virtual Book Tour in one month. Ken Goe: Some Fan Favorites No Longer Are Part Of OTC Elite Mac Fleet, Jordan McNamara, Tyler Mulder, Aisha Praught, Alexi Pappas and HJer Jesse Williams are all off the roster. *MB: Thoughts on Nijel Amos joining OTC? *MB: Tom Farrell leaves OTC? GB’s Olympic 800 Finalist Lynsey Sharp Writes About How She’s Improved Since Joining Terrence Mahon’s Coaching Group Sharp gives a lot of credit to Mahon for her improvements since 2012 (from not making the Olympic final to finishing 6th in 2016). From No-Name To Collegiate Record Holder In One Race LRC Texas A&M’s Jazmine Fray Runs Massive PR To Break NCAA 800m Record Before Saturday, the sophomore’s indoor PB was 2:04.76 (outdoor PR was 2:03.25) – now she’s the collegiate record holder. *IAAF: Kerly’s Time Is Fastest Indoor 400m In The World For Six Years He’s now tied for 5th on the all-time indoor list. There was also a WL from NCAA indoor champion Christian Coleman in the 200m (20.46). Husky/ABQ Oregon’s Hannah Cunliffe Breaks NCAA 60m Record With 7.07 Seconds In Albuquerque Cunliffe also ran a 200 WL (22.60) on Fri. At the Husky classic, Lopez Lomong won with an identical time (3:56.55) as Evan Jager. Other winners were Penn State’s Danae Rivers (4:32.55 mile), CU’s Joe Klecker (7:51 3K) and Oregon’s Katie Rainsberger (9:01 3K). *Edward Cheserek Runs 13:32 World Lead Not far behind him was Washington’s Colby Gilbert in 13:34. *MB: Cheserek new world lead! Iowa State Classic Live Results There were some solid distance results as Georgetown’s Joseph White (1:46.44) and BYU’s Shea Collinsworth (2:01.42) took the 800s and Tulsa’s Marc Scott ran 7:47.57 to beat Justyn Knight out by .25 in the 3K. BU Valentine Results Andrew Wheating won the 1,000 in 2:20.72 and there was a world lead in the women’s mile from Shelby Houlihan in 4:24.16 over Colleen Quigley (4:24.88). Tyson Invy *Results *Tyrese Cooper Runs Second-Fastest High School 400m Ever With 46.01 The HS record is 13 years old, set by Elzie Coleman at 45.92. Berlin: Olympic Bronze Medalist Ivana Spanovic Leaps LJ World Lead Of 6.87m At ISTAF Berlin Meet Poland’s Piotr Lisek cleared 5.86m in the PV to defeat Olympic champ Thiago Braz da Silva. Hong Kong: Ethiopia’s Melaku Belachew Breaks Hong Kong Marathon CR With 2:10:31 Victory Ethiopian Gulume Tollesa won the women’s race in 2:33:39. *IAAF Recap: Poland’s Joanna Jozwik Gets 800 World Lead And National Record In 1:59.29 Bethwell Birgen won a tough battle in the 1,500 over Marcin Lewandowski and Silas Kiplagat. LRC Breaking: Alysia Montaño Just Won Two World Championship Medals At 800 Meters The Court of Arbitration for Sport has banned Russian Mariya Savinova-Farnosova for four years and stripped her of her 2011 and 2012 gold medals and 2013 silver. In addition to Montaño getting two medals, Caster Semenya is now a two-time Olympic champ. Mike Tirico To Replace Bob Costas As NBC’s Olympic Host In 2018 Costas held the job for 24 years. 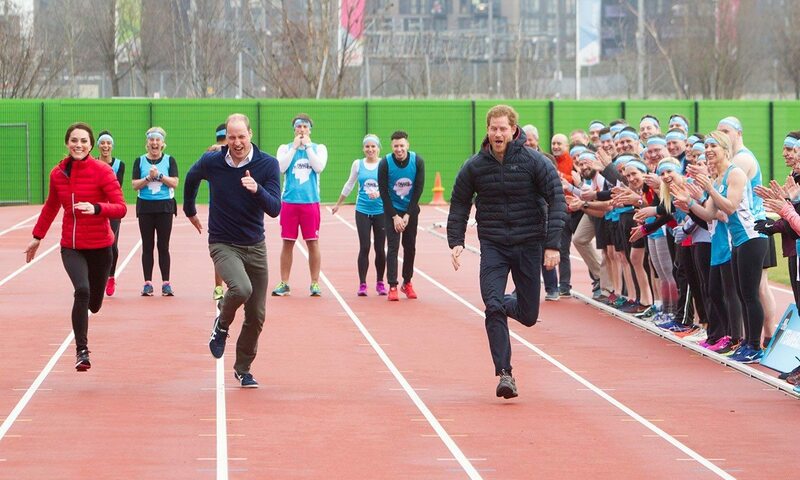 Prince Harry Beats Prince William And Kate Middleton In Sprint At Charity Event This is proof that one should never get married and never have kids if you want to keep running as your #1 priority. Tokyo Prosecutors Question Japanese Olympic Head Over Controversial Payments To Consulting Firm With Ties To Papa Diack In international business, it’s sadly often a fine line between consulting and bribery. 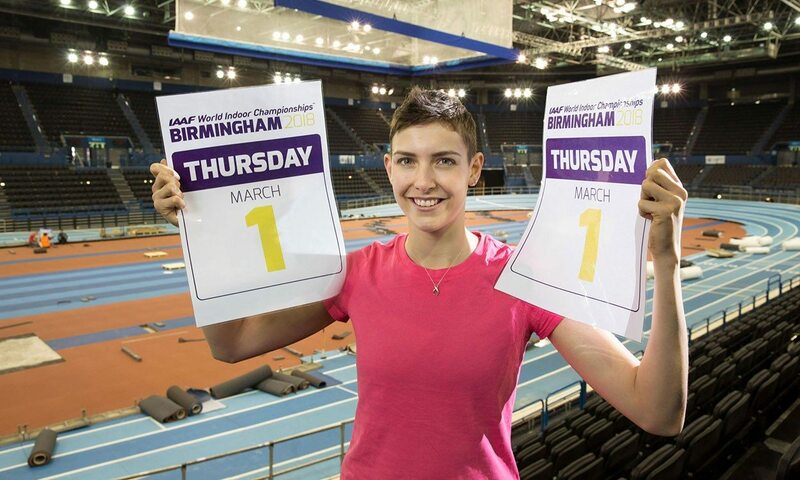 2018 World Indoors In Birmingham Will Likely Start With A High Jump Only Day It was going to feature 3 days of competition but now organizers want to run the high jump on the night of the opening ceremony. 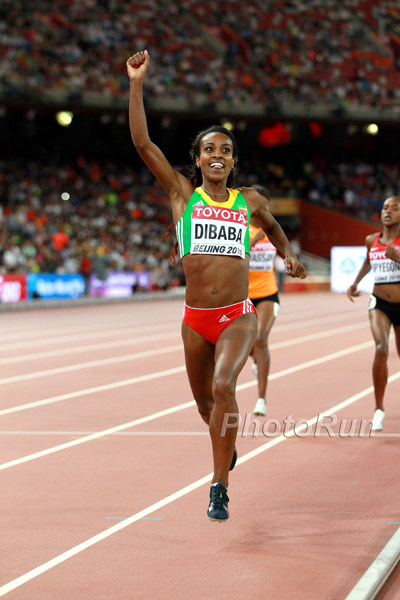 LRC Genzebe Dibaba Gets World Record #6, Runs 5:23.75 For 2,000 Meters In Sabadell, Spain She destroyed the 18-year-old indoor record by 7 seconds and also beat Sonia O’Sullivan‘s outdoor mark of 5:25.36. *IAAF Meet Recap Poland’s Adam Kszczot won the 800 in 1:46.31 while Euro silver medalist Adel Mechaal won the 3K in 7:48. Register Guard: Track Town Gives The Eatons A Royal Send-Off A capacity crowd of 300 at the TrackTown Tuesday meeting in Eugene gave them two standing ovations. *Ken Goe In The Oregonian: The Eatons Enjoying Retirement And Being “Fun-Employed” The two have kept busy since retiring with a number of projects including helping with a fantasy track and field game. Ken Goe Profile On Oregon Hurdler Alaysha Johnson Johnson talks about her sociology studies and work promoting better relationships between police officers and minority groups which included doing a night ride-along. University Of Oregon Reconsidering A “Draconian” Liability Waiver For Track And Field Volunteers They caught some flack for a new waiver that would force volunteers to give up a lot of legal rights in the event of an injury caused by university negligence. 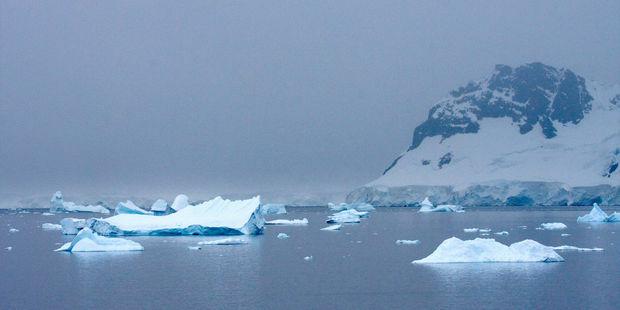 LRC Six Takeaways From Some Fantastic Action Across The Globe On Super Saturday What a day. Laura Muir and the Kenyan-born Americans were fantastic.We give you the highlights as we doubt you can spend all of Sunday and all of Saturday glued to your TV or PC. 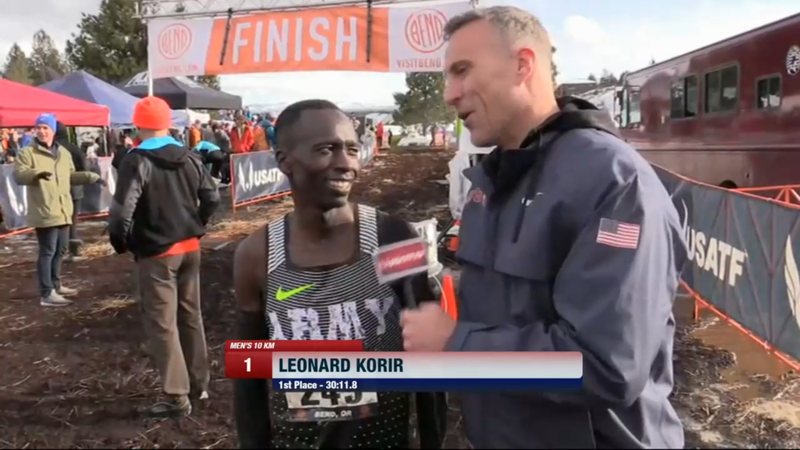 USA XC: Leonard Korir Wins, Aliphine Tuliamuk Dominates As Do Scott Simmons’ Kenyan-American Men Scott Simmons-coached athletes swept the top 4 places on the men’s side at the USA XC champs as Leonard Korir got the win. Aliphine Tuliamuk dominated the women’s race. ATI RRW 2017 Armory Track Invitational Full Recap: Ajee Wilson And Sammy Watson Impress With Fast 600m Times In the men’s mile Andy Butchart impressed and the men’s 3,000 was physical and featured shoves and elbows between Drew Hunter and Daniel Winn. Laura Muir 8:26 indoor 3000m! European record! 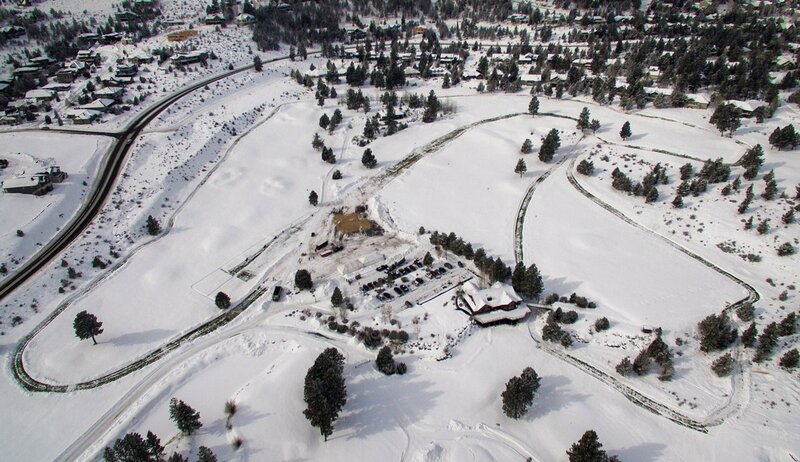 Who will win 2017 USA Cross Country Championship in Bend Oregon this Saturday afternoon? Molly Seidel DNF in comeback? Women’s Long Jump Battle Highlights British Indoor Champs World indoor bronze medalist Lorraine Ugen got the win with 6.72m over heptathlete Katarina Johnson-Thompson and The Voice contestant Jazmin Sawyers. Lee Emanuel finished his last 1,000m in 2:31 to win the men’s 3,000 in 7:55 as the top 5 were all sub-8:00. Kataraina Johnson-Thompson Says She’s “Not Enjoyed Anything Over The Last Two Years” While Explaining Decision To Leave Her Childhood Coach Johnson-Thompson has showed promise, but had disappointing performances at the last two global outdoor championships. Andrew Robertson Wins 60m Title As Richard Kilty Is DQed For False Start For The Second Year In A Row Eliish McColgan just beat out Steph Twell with 9:05 in the 3,000, Asha Philip won comfortably in the women’s 60m and Andrew Pozzi equaled his 60H world lead (7.44 seconds). USATF Signs Multiyear International Broadcast Rights Deal With Lagardere Sports Now non-US residents will have access to USATF events. LRC Peres Jepchirchir Runs 65:06 Half Marathon World Record And Collapses At Finish! updated What a race! 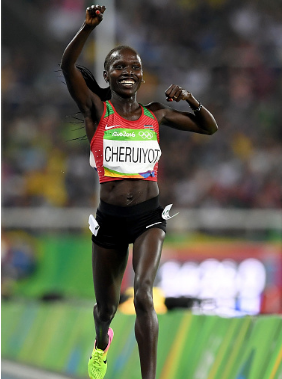 The world half marathon champ Jepchirchir had to run a world record of 65:06 to defeat Mary Keitany. Jepchirchir ran 30:33 from 10k to 20k (a time that only 2 Amercians have ever run faster than) to pick up the $100,000 world record bonus. Bedan Karoki won the men’s race. We break it all down. *MB: Race of the Year (So Far): 2017 RAK Half Marathon Starts at 9:45 PM ET – Official Discussion Thread. LRC The Week That Was In Running: The Colorado Milers, Snow Cross Nationals, Callum Hawkins, Amy Cragg And More Plus a funny clip of Jenny Simpson delivering good news on national football signing day. 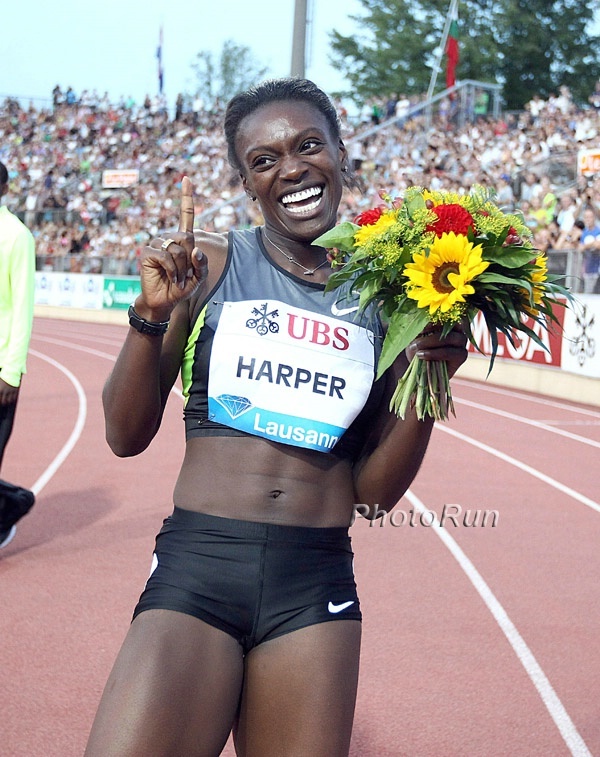 US 100 Hurdler Dawn Harper-Nelson Gets 3-Month Drug Ban She tested positive for a substance used in diuretics and masking agents which she said was caused by prescribed blood pressure medication. AP: “Russia Picks Fight Over Doping After IAAF Ban Extended” If you’re waiting for an apology or sincere admission of guilt from Russian officials, don’t hold your breath. Athletics Illustrated’s Chris Kelsall Isn’t Happy That Disgraced Turkish Miler Asli Cakir Alptekein Has Returned From Her Shortened Ban Alptekein was initially banned for 8 years, but had it reduced to 4 for providing info on the Diacks. Seb Coe Is “Sad” His “Friend” Nick Davies Was Sacked From The IAAF Coe disagrees with critics who said Davies’ punishment was too lenient. BBC Video: Seb Coe Denies Misleading British Parliamentary Committee Over Russian Doping Cover-Up He says he’s too busy to appear before the committee again. 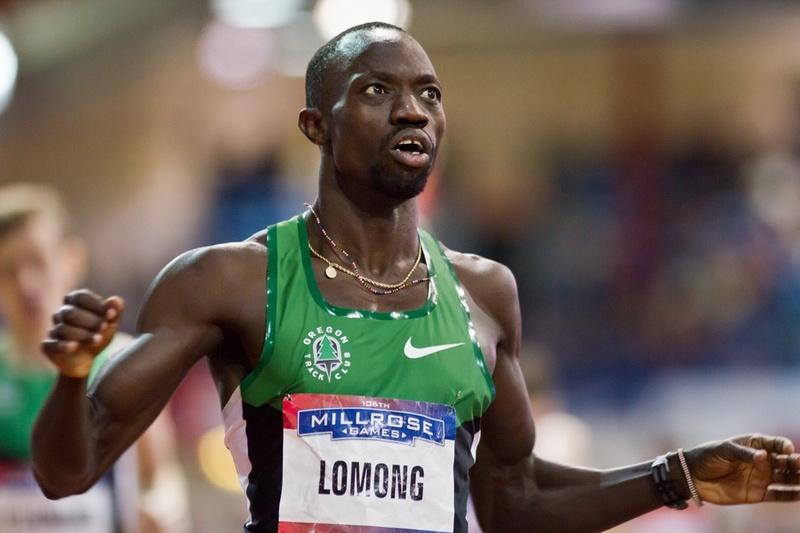 LRC Who Is Emmanuel Korir – The Freshman The Set A World’s Best In The 600m? “I Think He Could Be A World Champion In The 800” UTEP coach Paul Ereng knows a thing or two about 800-meter phenoms – he used to be one himself, winning Olympic gold in 1988 as freshman at the University of Virginia. Now Ereng’s got one on his hands in the form of Korir, the freshman who set a world indoor best of 1:14.97 for 600m last weekend (since surpassed), and he thinks greatness lies in Korir’s future. Want a Better Running Shoe?